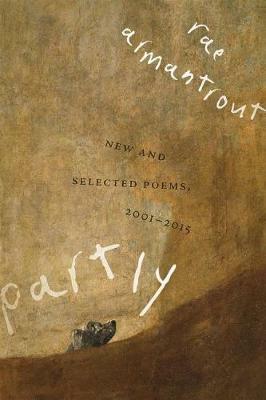 Rae Armantrout's poetry comprises one of the most refined and visionary bodies of work written over the last forty years. These potent, compact meditations on our complicated times reveal her observant sensibility, lively intellect, and emotional complexity. This generous volume charts the evolution of Armantrout's mature, stylistically distinct work. In addition to 25 new poems, there are selections from her books Up To Speed, Next Life, the Pulitzer Prize and National Book Critics Circle Award winning volume Versed, Money Shot, Just Saying, and Itself. Including some of her most brilliant pieces, Partly affirms Armantrout's reputation as one of our sharpest and most innovative writers.